Discussion in 'POTW Collaboration' started by Serebii, Jun 10, 2018. So, the Guardian Deities have been ruling the Gen 7 Metagame with their Terrain Abilities. Arguably the best Tapu in the Metagame - Tapu Fini, has many tricks up its sleeve. For example, with Misty Terrain, it can't be affected by any Status Conditions and by being Water/Fairy, it has plenty of good resistances. Seriously, just use it, it's great! + It's not No.3 on the Global Link for nothing! - It has 3 weaknesses to Electric, Grass and Poison. This thing can run into problems. - Might want to be careful of Bulky Pokemon, which T Fini has trouble breaking pass sometimes. Misty Surge: This is what gives Tapu Fini its usage. 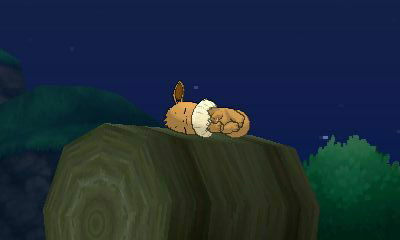 Being able to create Misty Terrain and keep it safe from all Status, it is something that many Pokemon dream of getting. Telepathy: Similar to the rest of the Tapus, it has Telepathy as its Hidden Ability that it can't even get. Does it really matter? Not Really. Always stick to Misty Surge, even when this is released (If Ever). Counters: Ferrothorn works as a great counter. Being able to take any of Tapu Fini's attacks and OHKOing with Power Whip makes it an ideal counter. Tapu Bulu works similarly as well. Tapu Koko can set up his own Terrain and OHKO with some electric-type moves; Electrics or Grasses, they're your best friends against this thing. You can replace one of the offensive moves with Swagger if you want to boost physical attacking buddies that are grounded (for instance Tyranitar, Garchomp, or Incineroar), with Misty Terrain blocking the confusion, although Swagger is still fairly unreliable with its 85% accuracy. Heal Pulse heals your partner, Mist is an interesting option that blocks any kind of stat lowering the opponent might try, mostly Intimidate, but also Icy Wind, Electroweb, Snarl, Struggle Bug, Bulldoze, and others. With Intimidate being very popular nowadays in doubles and a lot of teams having double Intimidate, it can be a useful trick to block all that for five turns. Z-Mist gives you semi-reliable recovery once, fully healing Tapu Fini's health when used. A Bold nature with 252 HP, 132 Def, 124 Sp.Def can also be used, it results in the same stats for the same EV investment. You can move the investment around a bit to become more physically or specially defensive, the given one gives you 166 defence and 165 special defence for a good balance. Locormus Can we please get the old forum back? Honestly not a single part of me is willing to bother "contributing" to these any more. Last weeks entry had three responses and guess how many of those were eventually used in the actual article? None. Yeah, Anorith got mentioned for a Little Cup segment, but Murkrow didn't while it arguably is one of the best users of Eviolite. I get it when there's a ton of responses that one or two don't get used. But when there are only two for the main pokemon and the input is completely ignored.. then what's the point. "If I had my way in DP, Ash would've hit the league with: Pikachu, Ambipom (his to keep), Torterra (Grass/Starter), Lucario (Ace), Chingling (Cute), Bidoof (Water-type) and Heatran (Fire-type)." - Rowlet: Arrowl - LOL I WAS WRONG! - Litten: Burstiger - LOL I WAS WRONG! - Popplio: Bubblaid - LOL I WAS WRONG! The second line is meant to be sarcastic.. Though there was a random trainer with a Heatran at the Sinnoh League..
Dragalge, generic villager #5, Archstaraptor and 2 others like this. generic villager #5 Your ad here! All right, let's talk threats, because as common as this thing is, you'll want to be ready for it. TheIceCream nailed down one of Tapu Fini's best counters, Ferrothorn. With the same typing, Kartana is also a solid threat; and like Ferrothorn, it can easily take advantage of a switch out, either by setting up a SD or clearing hazards with Defog. Kartana also has the benefit of being faster than Tapu Fini, so unlike Ferrothorn it doesn't have as much to fear from Taunt. Generally speaking, any offensive Grass or Electric type will probably have little trouble with Tapu Fini as long as hey avoid a Scald burn and either OHKO or can just afford to eat a Nature's Madness. Examples include Serperior, Tapu Bulu, Tapu Koko, Thundurus (T), Magnezone, and Mega Manectric. Defensively oriented Grass-types, like Mega Venusaur and Amoonguss, tend to enjoy switching into Tapu Fini, scoring a KO with Giga Drain and healing at the same time. 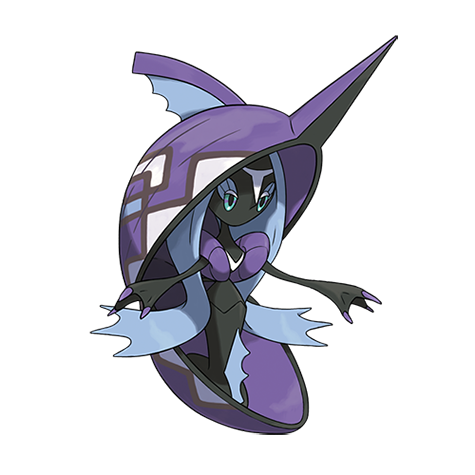 But always remember: Tapu Fini always has the ability to strip you of half your HP. Finally, for generally just annoying Tapu Fini: removing its Leftovers removes its only form of recovery; changing the terrain and hitting it with status; using an Assault Vest (epecially if its Celesteela or Amoonguss); and chip damage, since Tapu Fini has so little recovery. Anything can be a mixed attacker if you're brave enough. Tapu Fini usually can't Scald burn stuff due to Misty Terrain. It's part of the reason why it's not all that good of a move on Tapu Fini, I generally prefer Muddy Water in doubles just to get accuracy drops and spread damage, or Hydro Pump for single-target damage. In singles Surf is just superior in almost every way. Theoretically you can still burn some non-grounded threats, but most of those are better hit by Ice Beam (see Landorus, Salamence, etc) rather than gamble on a 30% chance to burn. Surf isn' t really all that superior. Higher damage sure, but the power drop for scald isn't detrimental for Tapu Fini: it can afford to take hits, whilst the burn chance is always useful. On the flipside, the additional damage from surf doesn't put mons under pressure like the burn status does, moreso for physical attackers. It's Fini's defensive nature that often requires it to sit on the field for a while, potentially as a calm mind sweeper. You also have flying types as you mentioned, and whilst ice beam would hit Landorus harder it's not necessarily a move that can just fit on a set, and arguably overkill. Additionally, terrains can expire or be replaced. If not in for the full duration of misty terrain fini will be switching in and out, at which point it could expire whilst on the field. Alternatively other Tapus could be switching in, wiping away misty terrain. And whilst they matchup favourably to fini, bulu is naturally outsped by fini and does not appreciate a burn at all. In a nutshell all terrains have been popular in standard games this generation, and for this reason scald still sees some use. Surf's power increase doesn't help fini as much as a potential burn in certain situations. Hypothetically you could make a gimmick set that pairs Brine with Nature's Madness. Provided you have entry hazards, you use Nature's Madness to drop your opponent's health down to less than half, and then use a double-powered Brine to finish your targets. It's indeed a hypothetical gimmick. Double-powered Brine has base power 130 and Hydro Pump has base power 110. You'd need two slots for Brine + Nature's Madness, and then it's advantageous if you are up against a threat that Hydro Pump can't 2KO but double-powered Brine would 2KO, which is a small damage range, and even then it only works either if you have hazards up (ironically conflicting a bit with Tapu Fini's Defog role which removes hazards) or if the opponent has an even number of hitpoints as Nature's Madness damage rounds down. It also falls flat if the opponent runs Sitrus Berry or Leftovers. Edit: Btw, kind of strange that in the article Tapu Fini doesn't have a doubles section at all while it's the most popular Tapu in high ranking Battle Spot Doubles and VGC, third place overall behind Incineroar and Landorus-Therian, ahead of Tapu Lele, Tapu Koko, and Mega Metagross. It's a bit in sentiment to an earlier post in this thread. It seems like all you're focusing in this article on is Showdown singles (for example mentioning Zygarde several times which is normally banned). And if a fanmade showdown format is all you're focusing on, what do you have to set yourself apart from the descriptions on Smogon?